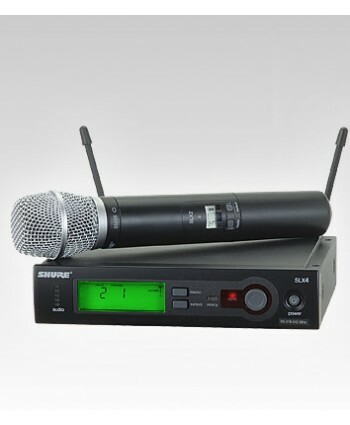 Microfon Wireless Shure GLXD24RE / BETA58 Z2Sistemul wireless Handheld GLXD24R / B58 face parte din familia de sisteme wireless GLX-D Advanced.GLXD24R / B58 oferă o reîncărcare inteligentă a bateriei, o performanță bună de radiofrecvență, o gestionare automată a frecvențelor și un număr mare de canale, cu o claritate excelentă a sunetului digital și o funcționare fără întreruperi. .. 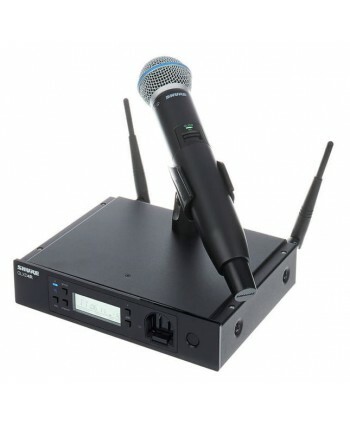 The T.Bone TWS 16 HT 863 MHz - 16-channel UHF wireless system - 9.5" diversity-receiver, handheld microphone, 16 switchable channels with 14 frequencies (863.125MHz-864.875MHz), up to 3 parallel systems, switchable squelch, XLR and jack output, external power supply (DC 12V/500mW). Accessories included: 19" rack mounts (for rack mounting two TW16 units), 1m jack output cable. 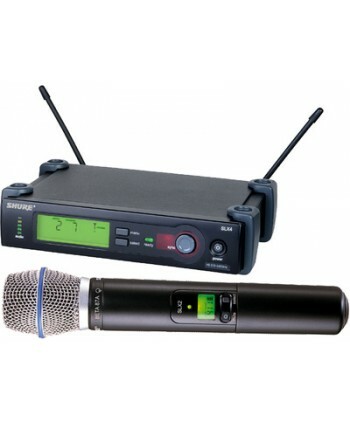 Microphone Clip NOT Included- optional artikle no 150793. No licence required, free for use all over Europe. 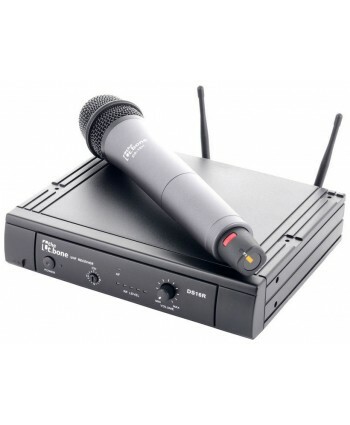 The T.Bone TWS 16 HT 863 MHz - 16-channel UHF wireless system - 9.5" diversity-receiver, handheld microphone, 16 switchable channels with 14 frequencies (863.125MHz-864.875MHz), up to 3 parallel systems, switchable squelch, XLR and jack output, external power supply (DC 12V/500mW). Accessories included: 19" rack mounts (for rack mounting two TW16 units), 1m jack output cable. 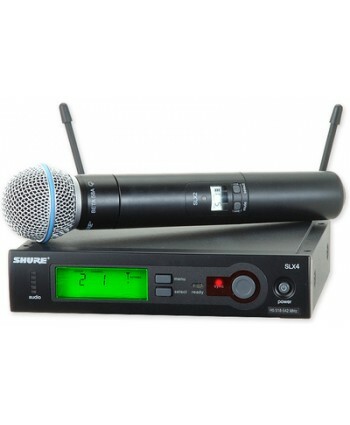 Micro..
Shure SLX2/SM86/R5 - handheld transmitter for SLX Series with condenser capsule, cardioid, group/channel/battery display, infrared frequency transmission, 960 switchable frequencies, pilot tone, lock for menu and on-off switch , 2x 1.5V batteries, R5 frequency range (800-820 MHz), up to 20 parallel systems (on multiple frequency bands, depending on local/national regulations). 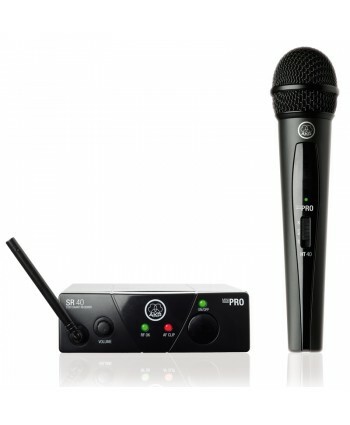 ..
Shure SLX 2 / BETA 58A / R5, transmițător portabil pentru SLX-Series cu capsula Beta 58A, dinamic, supercardioid, afisaj cu grup, canal si baterie, transmisie frecvența de la receptor pe infraroșu, 960 frecvențe de comutare, Pilotton, blocare pentru Meniu și comutator on-off, 2x baterii 1,5 Volt, gama de frecvența R5 800.000-820.000MHz, până la 20 sisteme compatibile.Shure SLX 4 / R5, UHF recep..
Shure SLX2/BETA 87A/R5 - SLX series handheld transmitter, hypercardioid condenser capsule, group/channel/battery display, frequency control from the receiver via infrared signal, 960 switchable frequencies, pilot tone, lock for menu and on/off switch, 2x 1.5V batteries, R5 frequency range (800.000-820.000MHz), up to 20 compatible systems on multiple frequency bands, depending ..